Animut, G, A.L Goetsch, R.E Estell, R.C Merkel, L.J Dawson, T Sahlu, and R Puchala. 2004. “Effects Of Methods Of Exposure To Eastern Red Cedar Foliage On Cedar Consumption By Boer Crossbred Wether Goats”. Small Ruminant Research 54 (3). Small Ruminant Research: 197 - 212. doi:10.1016/j.smallrumres.2003.11.006. http://linkinghub.elsevier.com/retrieve/pii/S0921448803003614. Abebe, G, R.C Merkel, G Animut, T Sahlu, and A.L Goetsch. 2004. “Effects Of Ammoniation Of Wheat Straw And Supplementation With Soybean Meal Or Broiler Litter On Feed Intake And Digestion In Yearling Spanish Goat Wethers”. Small Ruminant Research 51 (1). Small Ruminant Research: 37 - 46. doi:10.1016/S0921-4488(03)00191-3. http://linkinghub.elsevier.com/retrieve/pii/S0921448803001913. Soryal, K., F.A. Beyene, S. Zeng, B. Bah, and K. Tesfai. 2005. “Effect Of Goat Breed And Milk Composition On Yield, Sensory Quality, Fatty Acid Concentration Of Soft Cheese During Lactation”. Small Ruminant Research 58 (3). Small Ruminant Research: 275 - 281. doi:10.1016/j.smallrumres.2004.11.003. http://linkinghub.elsevier.com/retrieve/pii/S0921448804002743. Sahlu, T., and A.L. Goetsch. 2005. “A Foresight On Goat Research”. Small Ruminant Research 60 (1-2). Small Ruminant Research: 7 - 12. doi:10.1016/j.smallrumres.2005.06.002. http://linkinghub.elsevier.com/retrieve/pii/S0921448805002142. Min, B.R., S.P. Hart, D. Miller, G.M. Tomita, E. Loetz, and T. Sahlu. 2005. “The Effect Of Grazing Forage Containing Condensed Tannins On Gastro-Intestinal Parasite Infection And Milk Composition In Angora Does”. Veterinary Parasitology 130 (1-2). Veterinary Parasitology: 105 - 113. doi:10.1016/j.vetpar.2005.03.011. http://linkinghub.elsevier.com/retrieve/pii/S0304401705001111. Min, B.R., S.P. Hart, T. Sahlu, and L.D. Satter. 2005. 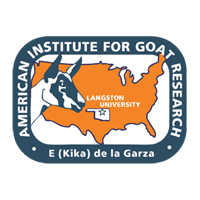 “The Effect Of Diets On Milk Production And Composition, And On Lactation Curves In Pastured Dairy Goats”. Journal Of Dairy Science 88 (7). Journal Of Dairy Science: 2604 - 2615. doi:10.3168/jds.S0022-0302(05)72937-4. http://linkinghub.elsevier.com/retrieve/pii/S0022030205729374. Gipson, Terry A. 2005. “Book Review: Biostatistics For Animal Science”. Small Ruminant Research 57 (2-3). Small Ruminant Research: 287 - 288. doi:10.1016/j.smallrumres.2004.12.004. http://linkinghub.elsevier.com/retrieve/pii/S0921448804002962. The book Biostatistics for Animal Science by Kaps and Lamberson is an excellent textbook or reference book on biometrics for graduate students or researchers in animal science. The book is easy to read and well formatted throughout with numerous easy to follow examples from various disciplines in animal science. Fekadu, B., K. Soryal, S. Zeng, D. Van Hekken, B. Bah, and M. Villaquiran. 2005. “Changes In Goat Milk Composition During Lactation And Their Effect On Yield And Quality Of Hard And Semi-Hard Cheeses”. Small Ruminant Research 59 (1). Small Ruminant Research: 55 - 63. doi:10.1016/j.smallrumres.2004.12.003. http://linkinghub.elsevier.com/retrieve/pii/S0921448804002950. Berhan, T., R. Puchala, T. Sahlu, R. C Merkel, and A. L Goetsch. 2005. “Effects Of Length Of Pasture Access On Energy Use By Growing Meat Goats”. Journal Of Applied Animal Research 28 (1). Journal Of Applied Animal Research: 1 - 7. doi:10.1080/09712119.2005.9706778. http://www.tandfonline.com/doi/abs/10.1080/09712119.2005.9706778. Banskalieva, V., R. Puchala, A.L. Goetsch, J. Luo, and T. Sahlu. 2005. “Effects Of Ruminally Protected Betaine And Choline On Net Flux Of Nutrients Across The Portal-Drained Viscera And Liver Of Meat Goat Wethers Consuming Diets Differing In Protein Concentration”. Small Ruminant Research 57 (2-3). Small Ruminant Research: 193 - 202. doi:10.1016/j.smallrumres.2004.07.007. http://linkinghub.elsevier.com/retrieve/pii/S0921448804002111. Animut, G., A.L. Goetsch, G.E. Aiken, R. Puchala, G. Detweiler, C.R. Krehbiel, R.C. Merkel, et al.. 2005. “Performance And Forage Selectivity Of Sheep And Goats Co-Grazing Grass/forb Pastures At Three Stocking Rates”. Small Ruminant Research 59 (2-3). Small Ruminant Research: 203 - 215. doi:10.1016/j.smallrumres.2005.05.015. http://linkinghub.elsevier.com/retrieve/pii/S0921448805001586. Animut, G., A.L. Goetsch, G.E. Aiken, R. Puchala, G. Detweiler, C.R. Krehbiel, R.C. Merkel, et al.. 2005. “Grazing Behavior And Energy Expenditure By Sheep And Goats Co-Grazing Grass/forb Pastures At Three Stocking Rates”. Small Ruminant Research 59 (2-3). Small Ruminant Research: 191 - 201. doi:10.1016/j.smallrumres.2005.05.014. http://linkinghub.elsevier.com/retrieve/pii/S0921448805001574. Wuliji, T., A. Litherland, A.L. Goetsch, T. Sahlu, R. Puchala, L.J. Dawson, and T. Gipson. 2003. “Evaluation Of Melatonin And Bromocryptine Administration In Spanish Goats”. Small Ruminant Research 49 (1). Small Ruminant Research: 41 - 49. doi:10.1016/S0921-4488(03)00056-7. http://linkinghub.elsevier.com/retrieve/pii/S0921448803000567. Soto-Navarro, S.A., R. Puchala, T. Sahlu, and A.L. Goetsch. 2006. “Effects Of Dietary Ratios Of Fish And Blood Meals On Sites Of Digestion, Small Intestinal Amino Acid Disappearance And Growth Performance Of Meat Goat Wethers”. Small Ruminant Research 64 (3). Small Ruminant Research: 255 - 267. doi:10.1016/j.smallrumres.2005.04.026. http://linkinghub.elsevier.com/retrieve/pii/S0921448805001732. Soto-Navarro, S.A., A.L. Goetsch, T. Sahlu, and R. Puchala. 2006. “Effects Of Level And Source Of Supplemental Protein In A Concentrate-Based Diet On Sites Of Digestion And Small Intestinal Amino Acid Disappearance In Boer×Spanish Wether Goats”. Small Ruminant Research 65 (1-2). Small Ruminant Research: 85 - 100. doi:10.1016/j.smallrumres.2005.05.028. http://linkinghub.elsevier.com/retrieve/pii/S0921448805002038. Gipson, T.A., A.L. Goetsch, G. Detweiler, R.C. Merkel, and T. Sahlu. 2006. “Effects Of The Number Of Yearling Boer Crossbred Wethers Per Automated Feeding System Unit On Feed Intake, Feeding Behavior And Growth Performance”. Small Ruminant Research 65 (1-2). Small Ruminant Research: 161 - 169. doi:10.1016/j.smallrumres.2005.05.038. http://linkinghub.elsevier.com/retrieve/pii/S0921448805002373. Asmare, A., R. Puchala, R. C Merkel, T. Sahlu, and A. L Goetsch. 2006. “Changes In Energy Expenditure By Meat Goats With Varying Levels Of Feed Intake Near Maintenance And Below”. Journal Of Applied Animal Research 29 (2). Journal Of Applied Animal Research: 81 - 89. doi:10.1080/09712119.2006.9706578. http://www.tandfonline.com/doi/abs/10.1080/09712119.2006.9706578. Berhan, T., R. Puchala, A.L. Goetsch, and R.C. Merkel. 2006. “Effects Of Walking Speed And Forage Consumption On Energy Expenditure And Heart Rate By Alpine Does”. Small Ruminant Research 63 (1-2). Small Ruminant Research: 119 - 124. doi:10.1016/j.smallrumres.2005.02.012. http://linkinghub.elsevier.com/retrieve/pii/S092144880500074X. Animut, G., A.L. Goetsch, G.E. Aiken, R. Puchala, G. Detweiler, C.R. Krehbiel, R.C. Merkel, et al.. 2006. “Performance By Goats And Sheep Consuming A Concentrate-Based Diet Subsequent To Grazing Grass/forb Pastures At Three Stocking Rates”. Small Ruminant Research 66 (1-3). Small Ruminant Research: 92 - 101. doi:10.1016/j.smallrumres.2005.07.023. http://linkinghub.elsevier.com/retrieve/pii/S0921448805002920. Olson, D.W., D.L. Van Hekken, M.H. Tunick, K.A. Soryal, and S.S. Zeng. 2007. “Effects Of Aging On Functional Properties Of Caprine Milk Made Into Cheddar- And Colby-Like Cheeses”. Small Ruminant Research 70 (2-3). Small Ruminant Research: 218 - 227. doi:10.1016/j.smallrumres.2006.03.007. http://linkinghub.elsevier.com/retrieve/pii/S0921448806000836. Zeng, S.S., K. Soryal, B. Fekadu, B. Bah, and T. Popham. 2007. “Predictive Formulae For Goat Cheese Yield Based On Milk Composition”. Small Ruminant Research 69 (1-3). Small Ruminant Research: 180 - 186. doi:10.1016/j.smallrumres.2006.01.007. http://linkinghub.elsevier.com/retrieve/pii/S0921448806000216. Van Hekken, D.L., M.H. Tunick, K.A. Soryal, and S.S. Zeng. 2007. “Proteolytic And Rheological Properties Of Aging Cheddar-Like Caprine Milk Cheeses Manufactured At Different Times During Lactation”. Journal Of Food Science 72 (3). Journal Of Food Science: E115 - E120. doi:10.1111/jfds.2007.72.issue-310.1111/j.1750-3841.2007.00296.x. http://www.blackwell-synergy.com/toc/jfds/72/3http://doi.wiley.com/10.1111/j.1750-3841.2007.00296.x. Zeng, S. S, S. S Chen, B. Bah, and K. Tesfai. “Effect Of Extended Storage On Microbiological Quality, Somatic Cell Count, And Composition Of Raw Goat Milk On A Farm”. Journal Of Food Protection 70. Journal Of Food Protection: 1281-1285. http://www.ingentaconnect.com/content/iafp/jfp/2007/00000070/00000005/art00034. Yiakoulaki, M.D., A.L. Goetsch, G. Detweiler, and T. Sahlu. 2007. “Effects Of Stocking Rate And Creep Grazing On Performance By Spanish And Boer×Spanish Does With Crossbred Boer Kids”. Small Ruminant Research 71 (1-3). Small Ruminant Research: 234 - 242. doi:10.1016/j.smallrumres.2006.07.003. http://linkinghub.elsevier.com/retrieve/pii/S0921448806001799. Tovar-Luna, I., A.L. Goetsch, R. Puchala, T. Sahlu, G.E. Carstens, H.C. Freetly, and Z.B. Johnson. 2007. “Efficiency Of Energy Use For Pregnancy By Meat Goat Does With Different Litter Size”. Small Ruminant Research 71 (1-3). Small Ruminant Research: 83 - 91. doi:10.1016/j.smallrumres.2006.05.004. http://linkinghub.elsevier.com/retrieve/pii/S0921448806001283.